Dr. Michael R Coe, MD is a Doctor primarily located in Bend, OR, with another office in Bend, OR. He has 34 years of experience. His specialties include Orthopaedic Surgery of the Hand, Surgery of the Hand and Orthopaedic Surgery. He speaks English. 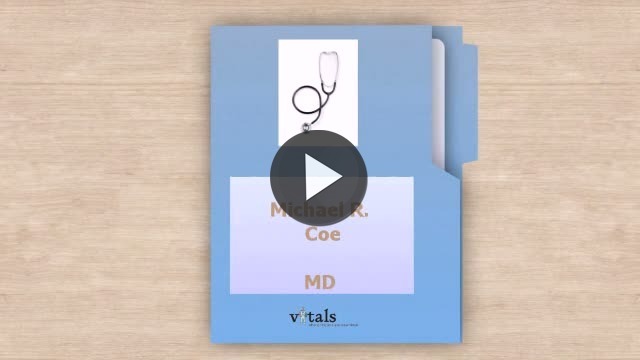 The overall average patient rating of Dr. Michael R Coe is Poor. Dr. Michael R Coe has been rated by 10 patients. From those 10 patients 5 of those left a comment along with their rating. The overall rating for Dr. Michael R Coe is 2.4 of 5.0 stars. Do you want a GOOD doctor? I think that most people who are inclined to write reviews are ones who had bad experiences, whether it's with a car lot, hotel, restaurant or anything else. I hope this review from a different perspective will be helpful. I was sent to see Dr. Coe with a pretty serious (to me) injury. I found him to be very knowledgeable, skilled, professional and on task. There was important and urgent business to be taken care of and he got it taken care of. Could he have been more "friendly" or had a little better "bedside manner"? Maybe, but that wasn't what I needed. I had a crushed finger that I had sat in the ER waiting for over 3 hours before they sent me out to see Dr. Coe. After being put back together and getting home I researched Dr. Coe to find reviews about him and decide if I would stick with him or search out a different doctor. I read lots of reviews and sorted through lots of them. What I found was that most of the unfavorable reviews weren't about his a abilities as a doctor but more about how personable he was. Dr. Coe is a great doctor, and after a couple visits, I feel like he has opened up more as I have got to know him and he has got to know me. Please don't let some of the bad reviews turn you away. I will continue to go to Dr. Coe for the remainder of my care and recovery and would highly recommend him. His staff is great too. He barely looked at me, talked to assistant as if I were not even there. Gave me no info. Before walking out of room and to next patient. Staff had to run him down to find our anything about me. I don't know what is up with Dr. Coe is he uncareing or over worked or over booked? I've had shots in my hand joint several times and they worked for a while until they didn't anymore. Dr. Coe did the shots well. However, I had surgery a year ago, kept my follow up appointments on time. Each time I was kept waiting for a long, long time and got nothing more than a peek into the room while he was standing in the hall as the PA was in with me. My last visit I waited 1 1/2 hours only to see the PA again! You see him in the hall and he looks at you with a blank look on his face as if you weren't there, no hello how are you.... a smile would work wonders. I will not return. I know that he is good at his profession but there are other orthopedic doctors out there. I was referred to this dr. for the pain In both of my lower thumb joints. He seemed uncaring and had no bedside manner. My husband went in to see the dr. with me because I need him to help me remember things he says & ask questions I forget to ask. Both of us cannot figure this dr. out. He seemed extremely distant and looked like he was in a trance of some sort. We chalked it up to a bad first impression. The second time we went to see him, he seemed to be in even more of a fog. He looks through you and it seems as if he is not listening to a word you say. But both times he gave me injections that really helped the pain. At some point I will need surgery but I won't be going to him for this. Dr. Coe has a very poor bedside manner. He did not listen to the original statement of why the appt was made and did not respond to questions. He talked down and literally said "obviously they don't understand and we are talking over their heads". I would not recommend him. I would not want to work for him or have him work for me - too much liability. Take a minute to learn about Dr. Michael R Coe, MD - Surgery of the Hand in Bend, OR, in this video. Dr. Michael R Coe is similar to the following 4 Doctors near Bend, OR. Have you had a recent visit with Dr. Michael R Coe? Select a star to let us know how it was.